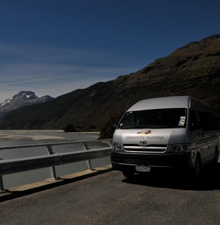 Glenorchy Journeys is a passenger transport and tour company that provides comprehensive transport options in the Queenstown Blackmartand Glenorchy area. 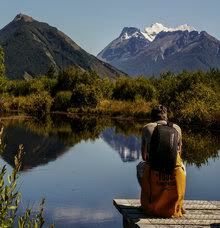 We operate from our Glenorchy base – near the southern portal to the Mt. Aspiring National Park – so are well placed to provide transport access in to and out of the Routeburn, Greenstone/Caples, and Rees/Dart tracks. Experience the unique and spectacular scenery of glacial valleys and majestic mountains, to beautiful lakes and pristine rain forest. 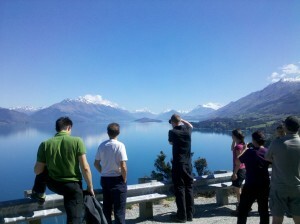 Take a journey to the most beautiful and spectacular areas around Queenstown and Glenorchy. Nestled on the shores of Lake Wakatipu and bordering a world heritage site Glenorchy is a year-round destination. Enjoy a magical place to explore – where the sights will captivate you and leave a lasting impression. Whether you are looking for a guided trip or an independent adventure Glenorchy Journeys can provide a package to suit all. Daily transport from Queenstown and Glenorchy to Routeburn Track, Greenstone/Caples Tracks and Rees/Dart Tracks. Glenorchy Journeys offers exclusive full day or half day guided scenic tours and can customize a tour designed to suit you. Download Showbox for iPhoneFlexibility is something we pride ourselves on so just ask us and we will let you know if it is possible. If you are looking for the best way to experience some of New Zealand’s most stunning landscapes then join us for a walk of a lifetime! Our knowledgeable local guide will be exclusive to your group and will walk at your pace. With door to door pickup and legendary personal service every hike is enjoyable and achievable.